In November, there was an outcry when it emerged that a 16-year-old girl had been held in police custody because there were no hospital beds available. The following month the government said it would end the practice of mentally ill teenagers being detained in cells and ensure that police custody would only be used as a place of safety for adults when their behaviour is so extreme they cannot be managed elsewhere. 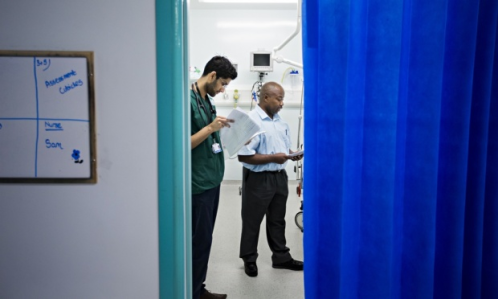 Last month, the state-funded “consumer champion”, Healthwatch England, warned that the safety of vulnerable people is being put at risk because they are discharged from hospital without proper information about their condition and future needs. It found cases where people who had previously engaged in self-harming and suicidal behaviour, and had usually been admitted to hospital for this reason, were offered only a crisis support phone number on leaving. She highlighted research published in Lancet Psychiatry last year which showed that suicides on psychiatric wards have more than halved in recent years, whereas they have more than doubled among mental health patients treated at home by crisis resolution home treatment teams. If you have a comment on this story please leave below !